Files with aqp file extension are saved and published quizzes from earlier version of Articulate Quizmaker program. What is aqp file? How to open aqp files? 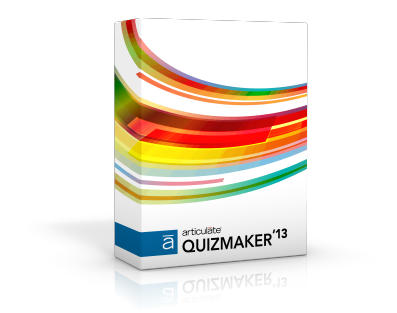 The aqp file extension is mainly related to Quizmaker, a program from Articulate used to create quizzes, surveys, drag-and-drops, and other assessments. These .aqp files were created in older versions of Quizmaker and contain saved quiz published through Articulate Presenter. The latest versions of Quizmaker no longer use this file type and use the QUIZ file type instead. Articulate Quizmaker gives you unprecedented power and freedom in a new streamlined interface. Whether you're a new or seasoned quiz creator, you'll easily create professional, custom Flash quizzes and surveys. As Quizmaker is backwards compatible, you can open these files even in latest versions of AQP. In order to convert AQP quiz to newer QUIZ format, you would need to obtain the original AQM file as well. and possible program actions that can be done with the file: like open aqp file, edit aqp file, convert aqp file, view aqp file, play aqp file etc. (if exist software for corresponding action in File-Extensions.org's database). Click on the tab below to simply browse between the application actions, to quickly get a list of recommended software, which is able to perform the specified software action, such as opening, editing or converting aqp files. Programs supporting the exension aqp on the main platforms Windows, Mac, Linux or mobile. Click on the link to get more information about Articulate Quizmaker for open aqp file action. Programs supporting the exension aqp on the main platforms Windows, Mac, Linux or mobile. Click on the link to get more information about Articulate Quizmaker for edit aqp file action.